Lately I've been on a bit of a foundation craze.. trying to find that perfect, everyday foundation. I came across this one at a Hudson's Bay counter and picked up a sample because it seems to be well liked by many bloggers and vloggers. Of course, this 100% isn't an 'everyday foundation'. Estee Lauder's Double Wear Stay-In-Place Makeup is designed to resist transfer with 15-hour staying power, stay in place through all types of activity, and be lightweight and won't clog pores. Botton Line: I have a severe love/hate relationship with this foundation. First of all, the good things: its claim of being a medium-buildable coverage is very true. 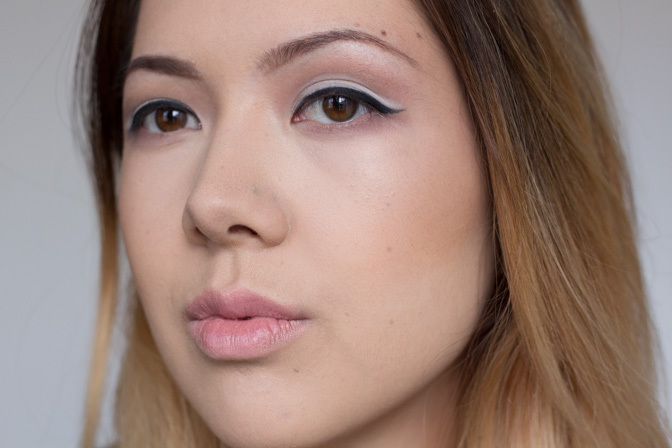 You can do 2 layers or go over problem spots to get a pretty flawless coverage. I use either a Sigma F80 Flat Top Kabuki Brush or a wet Beauty Blender for the best results. The staying power is great and it is very transfer-resistant, something I NEED for times when you know you're going to be hugging people.. It is literally the only foundation I've yet found that will last all day without even needing a touch up, and the most it needed was just a light powder. It stayed put on my nose, which I typically find foundations slide off of easily. 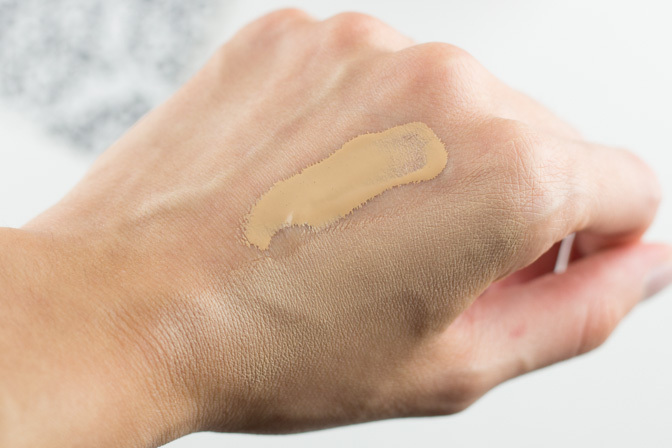 The shade 1W2 Sand, the second lightest in the Warm category is absolutely perfect for my yellow undertones and there are so many other shades that it will be hard not to find your perfect match. The foundation looks so flawless from a bit of a distance.. but, this is where the problems start! It does accentuate problem areas and dry spots/flakiness, so up close these can be more noticeable. Exfoliation will help but ultimately if you have dry skin you for sure want to test this out before purchasing. 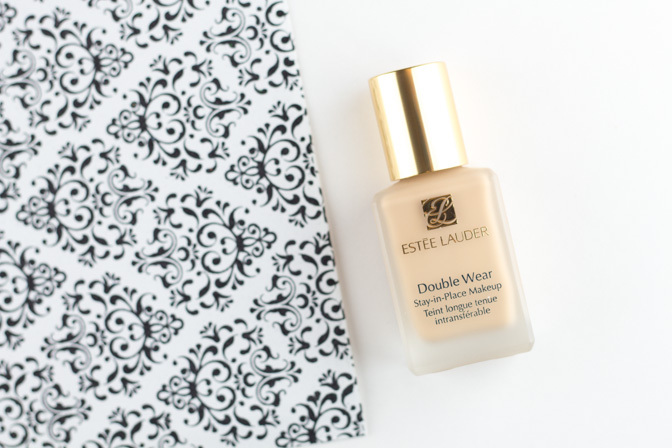 Double Wear's lasting power is so good that it becomes difficult to actually take off at night! I'd recommend not to bother wasting your trusty Micellar cleansing water and instead use an oil-based makeup remover for this one. The foundation does leave my skin quite dry after removing. And the major problem is that I noticed it clogs my pores and causes small pimples across my face everytime I wear it. Overall, I can overlook the flaws due to the awesome coverage and flawless finish it gives me. But I cannot overlook the fact that it doesn't work well with my skin and causes pimples/clogged pores. However, I have seen that this is not the case with everyone.. it really depends on your skin type and how sensitive it is. I would definitely recommend giving this foundation a try especially if you can get your hands on a sample and are looking for something flawless, transfer resistant and offers a huge shade range. 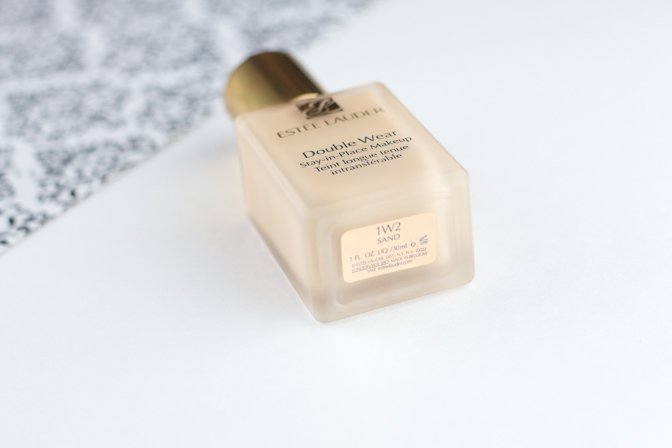 Estee Lauder Double Wear Stay-In-Place Makeup/Foundation is avail. at Sephora at a pretty standard price for a high-end foundation of $44 CAD.